For the most part, India is at peace with its neighbours. It is a free and independent country but it was not always so. After a big lunch at a local restaurant close to the Golden Temple, we continued our one day tour of Amritsar at Jallianwalla Bagh and the India-Pakistan border. 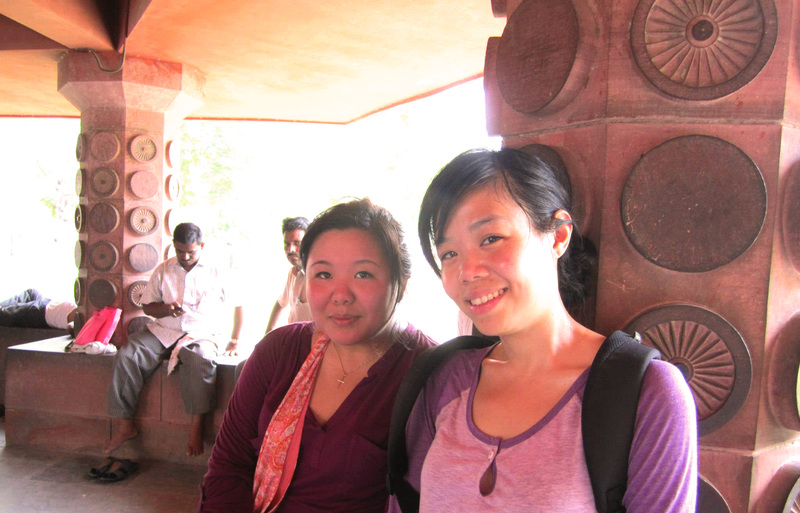 We leave the restaurant and start walking the streets to make our way to Jallianwalla Bagh. There are cars everywhere, which is understandable. But what I don’t get is where all these people are from! Was there something going on in town? Because the sidewalks were filled with people and we basically had to dodge or walk on the street to get by. Another thing that took some getting use to was the stares. I’m guessing not a whole lot of non Indians pass by Amritsar because everywhere we went, and on the streets in particular, we would be stared down like there was no tomorrow. I doubt there was ill-intent, perhaps just curiosity and wonder? Either way it did take some active ignoring, reassurance that they didn’t mean anything bad, and a few smiles to disarm any uncertainty. 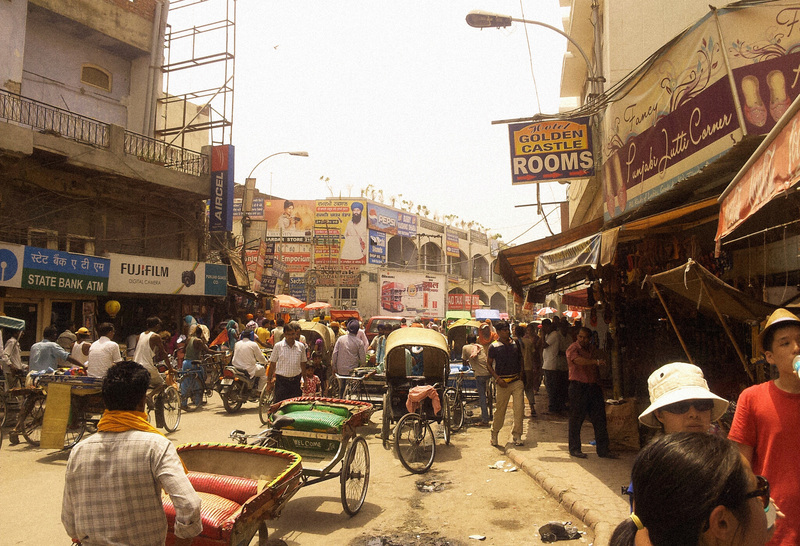 The streets around the Golden Temple and Jallainwalla Bagh. Crowded or just the regular everyday traffic? I’m leaning towards the latter. 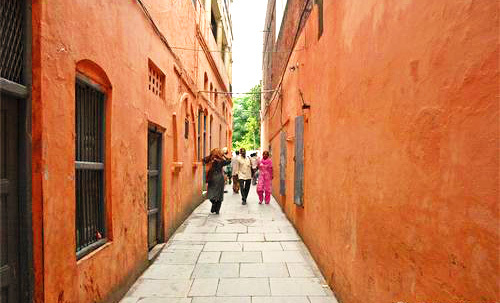 We make our way to the narrow, bricked entrance of Jallianwalla Bagh. On April 13th of 1919, during Ghandi’s non-violent revolt for the independence of India from British imperial rule, General Dyer of the British Army took 150 men and opened fire on thousands of unarmed civilians. 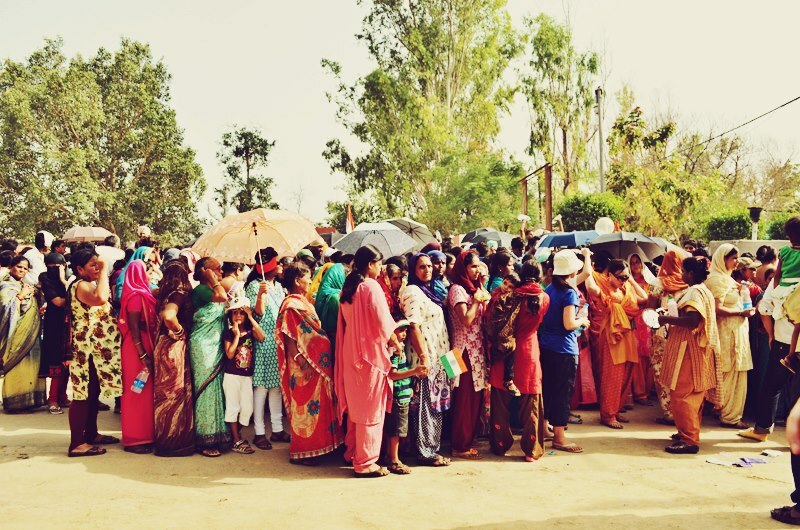 The crowd was gathered at the park during the holiday of Vaisakhi, making public announcements on the progress of Ghandi’s satyagraha movement. In the matter of 10 minutes, over 1000 people were shot dead and many more injured. The park today is a peaceful memorial to those that lost their lives here. The grassy fields are dotted with bushes and flowers. Running throughout the park are covered walkways, where people come to take shelter from the mid day sun. Small buildings house paintings and mosaics depicting the massacre. The park was busy in the afternoon, with many people sitting in shaded benches in groups of friends and family. The whole park is enclosed in red brick walls and apparently, the bullet holes from the infamous day can still be seen. I enjoyed this break from the hustle and bustle of the streets. The greenery was reminiscent of Vancouver and was missing from the brown dirt and pavement of the streets. Well tended gardens at Jallainwalla Bagh. We passed by the covered area in the afternoon to catch our breath and cool off. Its 2pm when we leave Jallianwalla Bagh for the Pakistan-India border. There is a flag exchange ceremony that happens daily that we are trying to catch. We arrive at the gates of the border complex while there are relatively few people scattered among the various fruit and drink vendors. The heat is sweltering and I’m sweating through my shirt already. Just after 3, the area is packed with patriotic Indians waiting in respective female and male ques. Women are allowed to enter quite a bit earlier than the men. Standing in line and away from the tree we were hiding under, the crowd does nothing to quell the already unbearable heat. Finally the gates open and myself, Billy, Sam, Adam and our hosts lead us to the border. Tessa and EmHo decide to stay back at the gates and hide from the heat, which seems to be getting to them. A 1km walk and numerous attempts at finding the girls through “VIP” entrances, we finally unite near the front few rows with an excellent view of the bleachers in the Pakistani side that mirror our Indian side. 3:30pm. The wait begins and the heat, which peaks at 42 degrees celcius, stretches each minute to 5. I find myself dozing off from the heat but also from sheer exhaustion. I’ve been running on nothing but excitement and 4 hours of sleep for the past 30+ hours. Our hosts take the time to explain the background of the ceremony. I had no prior knowledge of Indian history. Following the fall of British rule in 1947, India was divided into the Union of India and the Dominion of Pakistan. India became a democratic and secular country with a Hindu majority and a close Muslim minority. Pakistan however became an Islamic Republic, with an overwhelming Muslim majority. Tensions between the 2 countries have been rocky since the beginning, with a number of wars and conflicts as recent as the last decade. The ceremony involved an exchanging of their respective flags and is an act of peace, or rather, an act of non-violence. 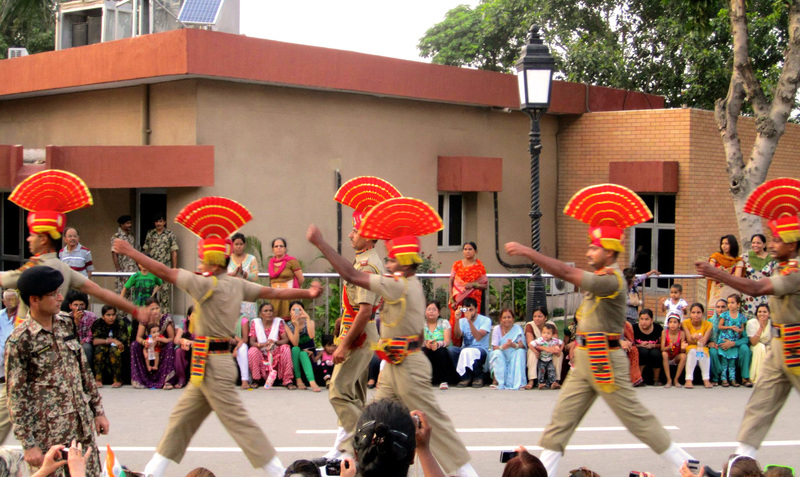 Ceremonious kicking was a prolific part of the exchange of flags between India and Pakistan. The ceremony begins with the beating of drums. Soldiers in elaborate military outfits with large crests on their helmets march, kicking very high and making quite a show of it. At this point I’m drifting in and out of consciousness so my memory is a bit fuzzy. The border gates are opened and there is a flag lowering and exchange. The crowd goes into an unified frenzy of patriotic chants. All in all the ceremony is relatively short compared to how long we had to wait. If you are resilient against heat, be sure to check this out. 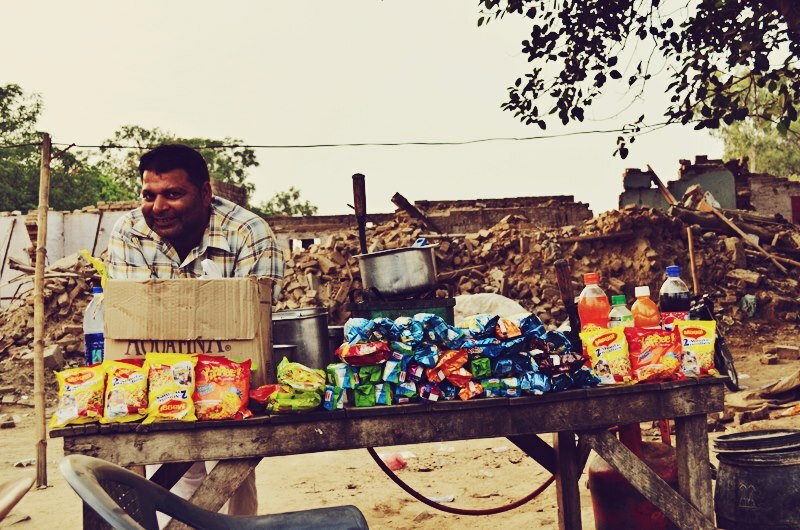 Vendors sell water so you’re in no risk of dehydration. The ceremony itself isn’t all too spectacular but the ambiance and solid sense of patriotism that is felt by the Indians beside you is both palpable and infectious. Perhaps this ceremony at the border crossing is an attempt at bettering relations between the two countries. It’ll take time and solid foreign policy but it strikes me as silly that 2 peoples who share just about everything except religion should be at (figurative) war with each other. 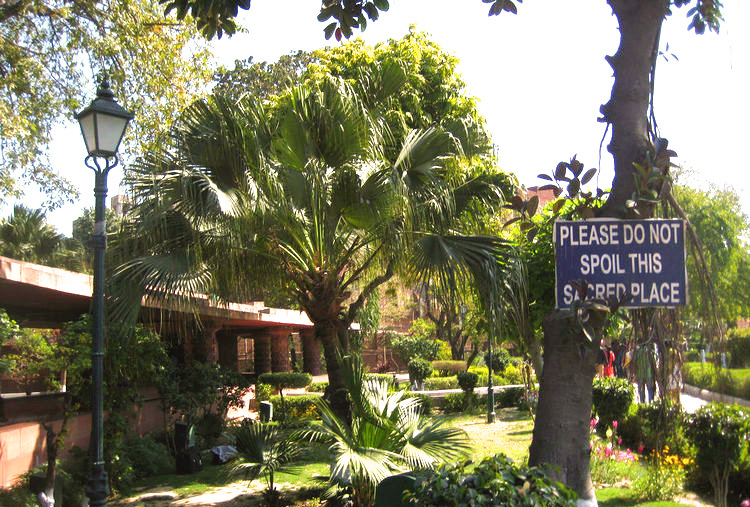 Jallainwalla Bagh is about a 5 minute walk from the Golden Temple. There are a few restaurants around the area so have your pick but make sure to pass on the tap water. 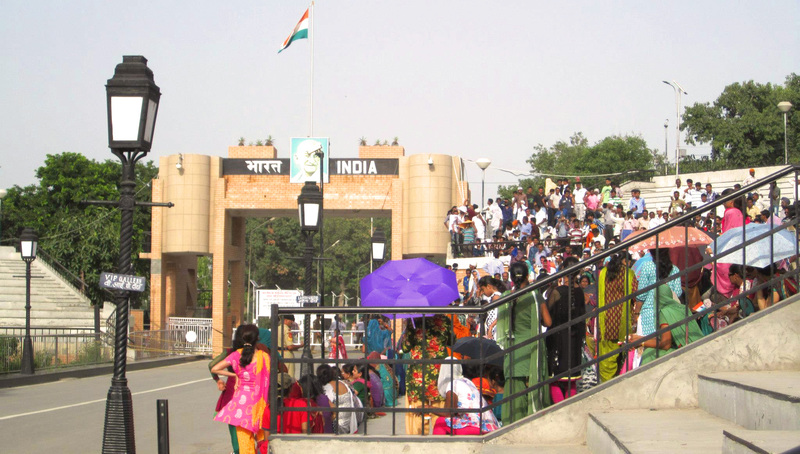 The border crossing is about 32km from Amritsar and takes about 45 minutes. You can hire a cab or rickshaw depending on your budget. It should cost just a few hundred rupees. I believe it is possible to cross this border into Lahore, Pakistan if you have the appropriate visa. Come early to make sure you get a good spot! Bring lots of water or money for water. I should mention that I’ve been using a number of Tessa’s photos because, unlike me, she has the vigilance of a photographer. I get hot, tired or overly excited and I forget all thoughts of photography, while Tessa always seems to have once on hand. If you ever want to do a shoot for say, family photos that aren’t so traditional, be sure to give her a tweet on her Twitter account and check out her blog.